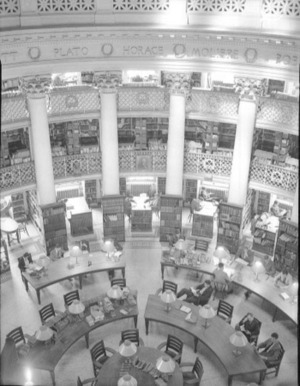 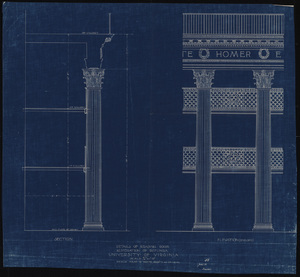 White’s dramatic and elaborately decorated reading room featured two mezzanine levels of stacks with cast-iron balconies stretched between a ring of twenty twenty-four-foot Corinthian columns. 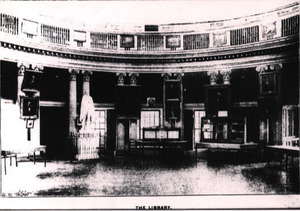 A frieze with the names of famous authors circled the building’s perimeter. 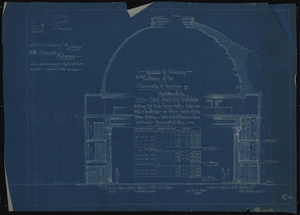 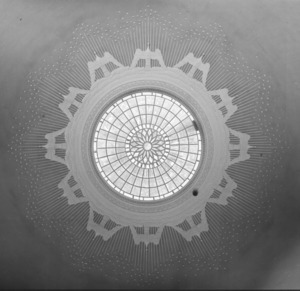 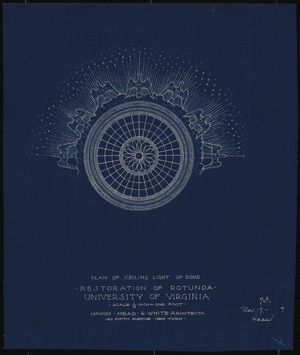 For the interior of the dome, White specified a design of eagles, stars, and rays, referencing the ceiling of the entrance hall at Monticello.